The counterpart was introduced to display driving licence details that could not be included on the photocard. 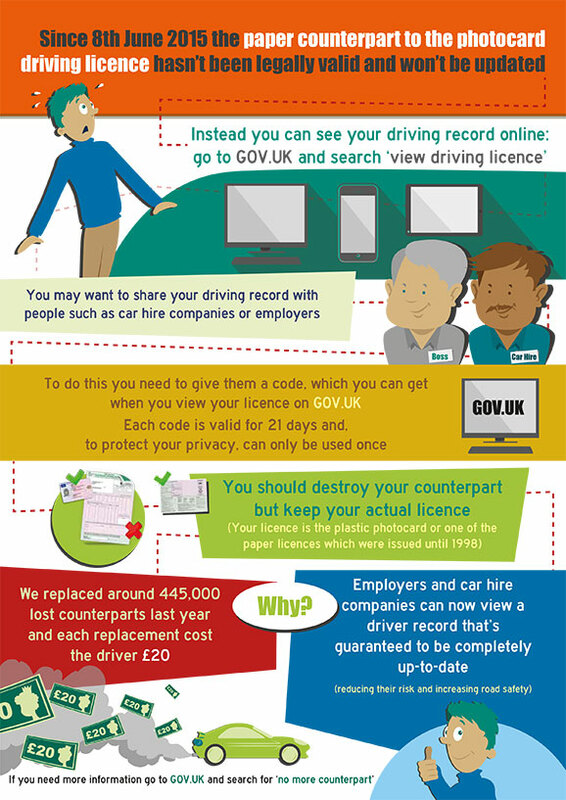 These details include some vehicle categories you are entitled to drive and any endorsement/penalty points. 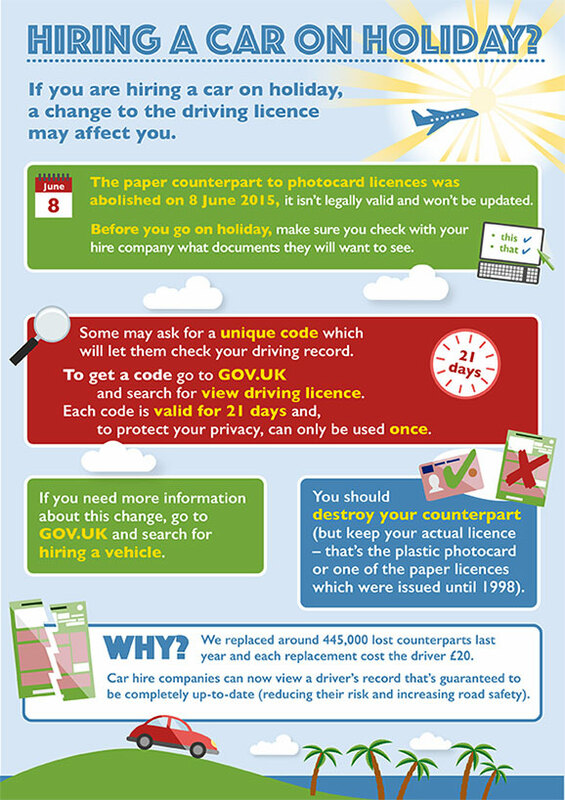 View the DVLA's infographic below for information about the driving licence changes.